Bible Classes: New series starting soon - What in the world is going on?- an indepth study of the end times. 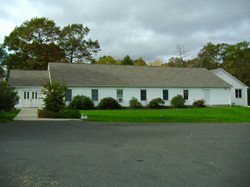 Woodland Church of Christ is an independent, non-denominational Christian Church sharing God’s Word and Christ’s love within the heart of Connecticut’s Naugatuck Valley. We are one of thousands of Churches of Christ / Christian Churches throughout the United States known for our faithfulness to the Word of God and positive outreach. "Leading people to a saving faith in Jesus Christ and equipping them to serve as members of His body, the church." And their father said to them, "Which way did he go?" For his sons had seen which way the man of God went who came from Judah.